In this section, the widget framework is explained. Widgets represent 2D or 3D objects, varying from simple ones such as lines to complex one such as point clouds and meshes. Widgets are implicitly shared. Therefore, one can add a widget to the scene, and modify the widget without re-adding the widget. /// Modify it, and it will be modified in the window. Base class of all widgets. Widget is implicitly shared. Creates a widget from ply file. file_name – Ply file name. Sets rendering property of the widget. property – Property that will be modified. value – The new value of the property. Turn on immediate rendering by setting the value to 1. Turn off immediate rendering by setting the value to 0. Returns rendering property of the widget. Casts a widget to another. 3D Widgets can only be cast to 3D Widgets. 2D Widgets can only be cast to 2D Widgets. This class is for users who want to develop their own widgets using VTK library API. Returns vtkProp of a given widget. widget – Widget whose vtkProp is to be returned. vtkProp has to be down cast appropriately to be modified. Sets vtkProp of a given widget. widget – Widget whose vtkProp is to be set. Base class of all 3D widgets. //! widget position manipulation, i.e. place where it is rendered. //! updates internal widget data, i.e. points, normals, etc. Sets pose of the widget. pose – The new pose of the widget. Updates pose of the widget by pre-multiplying its current pose. pose – The pose that the current pose of the widget will be pre-multiplied by. Returns the current pose of the widget. Transforms internal widget data (i.e. points, normals) using the given transform. transform – Specified transformation to apply. Sets the color of the widget. Base class of all 2D widgets. This 3D Widget defines a finite line. pt1 – Start point of the line. pt2 – End point of the line. color – Color of the line. This 3D Widget defines a finite plane. Constructs a default plane with center point at origin and normal oriented along z-axis. color – Color of the plane. new_yaxis – Up-vector. New orientation of plane y-axis. This 3D Widget defines a sphere. center – Center of the sphere. radius – Radius of the sphere. sphere_resolution – Resolution of the sphere. color – Color of the sphere. This 3D Widget defines an arrow. pt1 – Start point of the arrow. pt2 – End point of the arrow. thickness – Thickness of the arrow. Thickness of arrow head is also adjusted accordingly. color – Color of the arrow. Arrow head is located at the end point of the arrow. This 3D Widget defines a circle. radius – Radius of the circle. thickness – Thickness of the circle. color – Color of the circle. center – Center of the circle. normal – Normal of the plane in which the circle lies. This 3D Widget defines a cone. length – Length of the cone. radius – Radius of the cone. resolution – Resolution of the cone. color – Color of the cone. center – Center of the cone base. tip – Tip of the cone. This 3D Widget defines a cylinder. axis_point1 – A point1 on the axis of the cylinder. axis_point2 – A point2 on the axis of the cylinder. radius – Radius of the cylinder. numsides – Resolution of the cylinder. color – Color of the cylinder. This 3D Widget defines a cube. 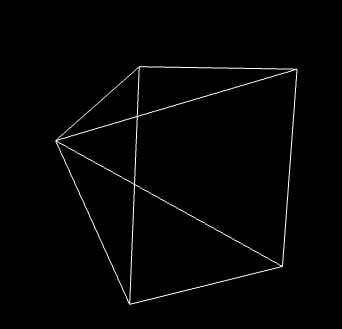 pt_min – Specifies minimum point of the bounding box. pt_max – Specifies maximum point of the bounding box. wire_frame – If true, cube is represented as wireframe. color – Color of the cube. This 3D Widget represents a coordinate system. scale – Determines the size of the axes. 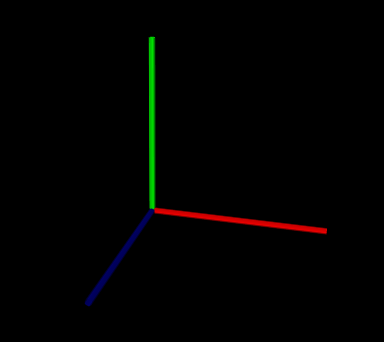 This 3D Widget defines a poly line. color – Color of the poly line. This 3D Widget defines a grid. cells – Number of cell columns and rows, respectively. cells_spacing – Size of each cell, respectively. color – Color of the grid. This 3D Widget represents 3D text. The text always faces the camera. text – Text content of the widget. position – Position of the text. text_scale – Size of the text. face_camera – If true, text always faces the camera. color – Color of the text. Sets the text content of the widget. Returns the current text content of the widget. This 2D Widget represents text overlay. pos – Position of the text. This 2D Widget represents an image overlay. image – BGR or Gray-Scale image. rect – Image is scaled and positioned based on rect. Sets the image content of the widget. This 3D Widget represents an image in 3D space. size – Size of the image. position – Position of the image. normal – Normal of the plane that represents the image. up_vector – Determines orientation of the image. This 3D Widget represents camera position in a scene by its axes or viewing frustum. Creates camera coordinate frame at the origin. K – Intrinsic matrix of the camera. scale – Scale of the frustum. color – Color of the frustum. 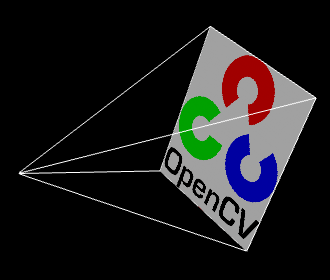 Creates viewing frustum of the camera based on its intrinsic matrix K.
fov – Field of view of the camera (horizontal, vertical). Creates viewing frustum of the camera based on its field of view fov. Display image on the far plane of the viewing frustum. img – BGR or Gray-Scale image that is going to be displayed on the far plane of the frustum. scale – Scale of the frustum and image. Creates viewing frustum of the camera based on its intrinsic matrix K, and displays image on the far end plane. This 3D Widget represents a trajectory. display_mode – Display mode. This can be PATH, FRAMES, and BOTH. scale – Scale of the frames. Polyline is not affected. color – Color of the polyline that represents path. Frames are not affected. PATH : Displays a poly line that represents the path. FRAMES : Displays coordinate frames at each pose. PATH & FRAMES : Displays both poly line and coordinate frames. scale – Scale of the frustums. color – Color of the frustums. Displays frustums at each pose of the trajectory. This 3D Widget represents a trajectory using spheres and lines, where spheres represent the positions of the camera, and lines represent the direction from previous position to the current. sphere_radius – Radius of the spheres. from – Color for first sphere. to – Color for last sphere. Intermediate spheres will have interpolated color. This 3D Widget defines a point cloud. cloud – Set of points which can be of type: CV_32FC3, CV_32FC4, CV_64FC3, CV_64FC4. colors – Set of colors. It has to be of the same size with cloud. Points in the cloud belong to mask when they are set to (NaN, NaN, NaN). color – A single Color for the whole cloud. normals – Normals for each point in cloud. Size and type should match with the cloud parameter. In case there are four channels in the cloud, fourth channel is ignored. This 3D Widget defines a collection of clouds. Adds a cloud to the collection. cloud – Point set which can be of type: CV_32FC3, CV_32FC4, CV_64FC3, CV_64FC4. pose – Pose of the cloud. colors – A single Color for the whole cloud. This 3D Widget represents normals of a point cloud. normals – A set of normals that has to be of same type with cloud. level – Display only every level th normal. scale – Scale of the arrows that represent normals. color – Color of the arrows that represent normals. This 3D Widget defines a mesh. mesh – Mesh object that will be displayed. cloud – Points of the mesh object. polygons – Points of the mesh object. This class allows to merge several widgets to single one. It has quite limited functionality and can’t merge widgets with different attributes. For instance, if widgetA has color array and widgetB has only global color defined, then result of merge won’t have color at all. The class is suitable for merging large amount of similar widgets. widget – Widget to merge. pose – Pose of the widget.